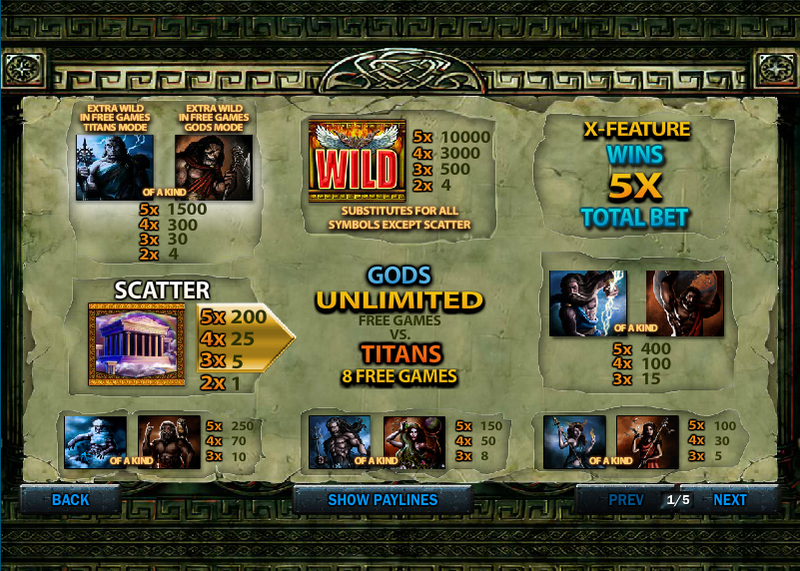 Brand new from Playtech is Battle Of The Gods, an action packed online slot which pits the ancient Greek gods against the Titans. In Greek mythology the Titans ruled before the Olympian gods fought and defeated them and this game reflects those battles. Read on to find out more about this exciting new slot. 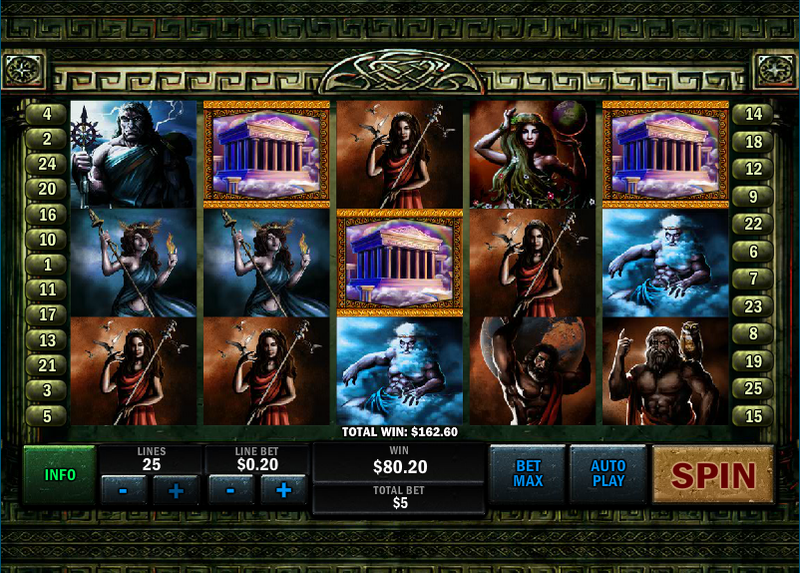 Battle Of The Gods s a five reel and twenty five payline game with a dramatic and brooding soundtrack. The atmosphere itself is quite dark but the graphics and animations are of a very high quality. All the symbols are either gods or titans with Zeus leading the Olympians and Atlas in charge of the Titans. Special symbols include a temple scatter and there’s also a fiery wild which substitutes for everything except the scatter. The spins are triggered by landing three or more of the temple symbols anywhere on the reels; there are two modes to this feature but you will always begin by playing the God’s Mode spins. Titan’s Mode – Only Titans occupy this reel set along with an extra wild on reel three. Here you only get eight spins unless that wild lands on the centre reel, in which case you will switch back to God’s Mode. The spins can continue indefinitely in this manner. As there are no scatter symbols in this feature, the spins can’t be re-triggered. 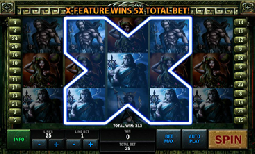 This is only available in the base game and you will win 5x your total bet if you can land five Gods in an X shape. You can see the exact positions in the screenshot to the right. All the features in this game can be triggered with minimum paylines so if you’d like to use just one payline and tiny stakes, you’ll still have the same chance of activating the free spins and the X-feature. This is exciting and action-packed stuff with some high quality graphics and an appropriate soundtrack. Triggering the free spins is the key to the big wins.